To kick off the first release of the year, Kidrobot San Francisco welcomes you to the signing of the Lore of the Labbit mini series and Blister Packs. This is your chance to meet Frank Kozik himself and get your new toys signed! Come by Friday January 31st, the fun starts at 6pm. 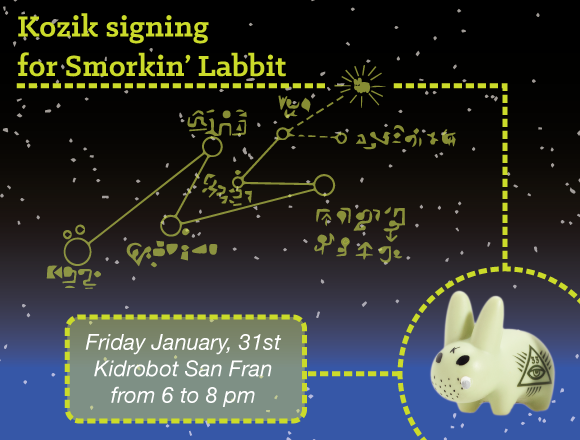 The post Lore of the Labbit: Kozik Signing at Kidrobot SF appeared first on Kidrobot Blog.